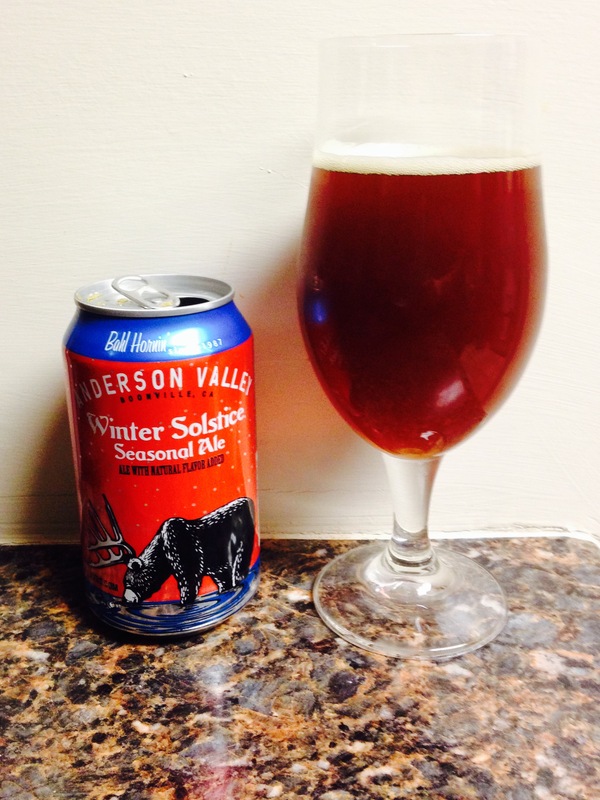 Winter Solstice seasonal ale is from a brewery in Booneville Ca. Not a whole lot to say about this beer. This beer is not a heavy beer but definitely not what I consider light. In this beers defense it was the last of several to be tried, first of which was Shiner Holiday Cheer (which I really liked)…..so, the winter solstice has a slight caramel smell, malty taste, bitter finish. I don’t mind drinking it but I won’t search it out in the future. The can is very holiday and festive looking with a cool beer (bear/deer) on the front. We give this a 2.5. Good thing there are more holiday beers to try!